Healthcare equipment training and safety guides for patients. A patient's guide to using an Oxygen Concentrator. 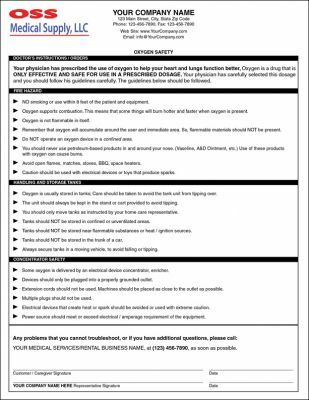 Includes sections and guidelines on: goals, equipment preparation, equipment use, safety guidelines to use when oxygen is not in use, and troubleshooting. 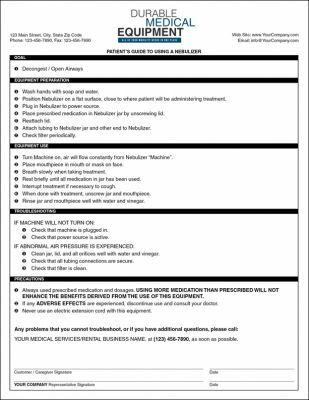 It also has a section near bottom of form with the medical equipment's business name and a telephone number for the patient have difficulty, needs assistance or does not understand something. 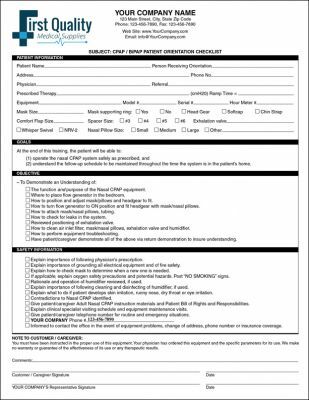 A patient's guide and checklist for patients using CPAP and BiPAP medical, therapy equipment. 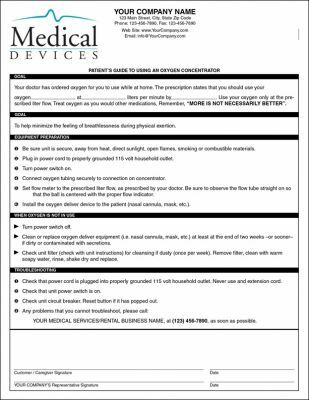 This fact sheet should accompany any concentrator rented to a patient. It will teach patient safe use of an oxygen concentrator. 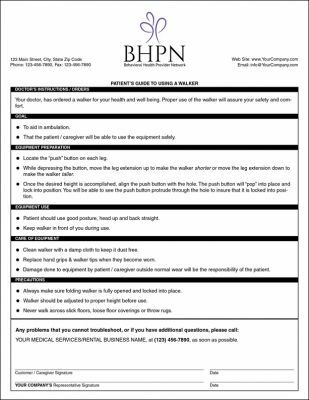 Protect yourself, be sure you have outlined safety precautions to the patient and leave a safety guidelines sheet with the concentrator.